Join Us – Fly Frankenmuth Today! Join us and discover the world of radio-control flight with the Frankenmuth Aeromodelers today! or copying the page and filling in all your information. and bring up a larger one to fill out. You will need to attend at least one meeting prior to being voted for membership. for all but indoor planes. You don’t register your planes with either organization, just yourself. 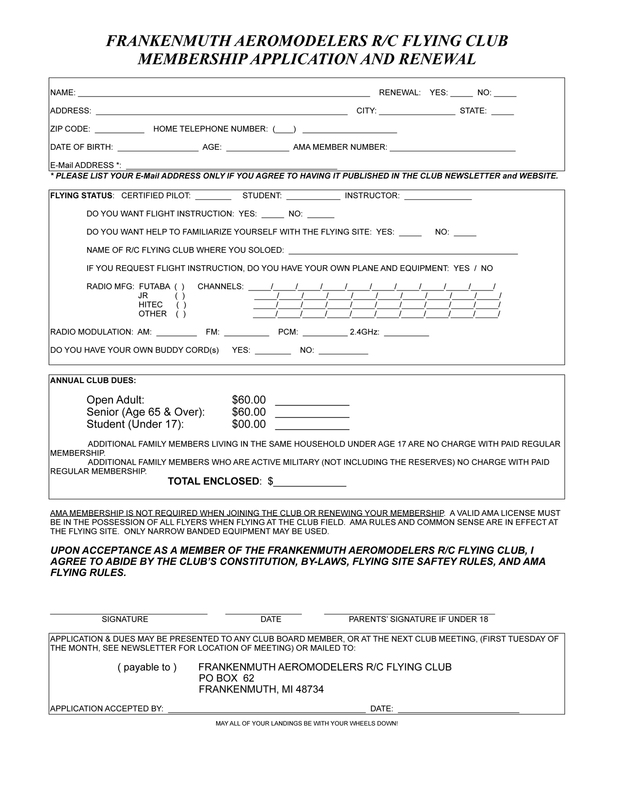 Make sure you read the rules on the weight your model aircraft has to be on the FAA web site.